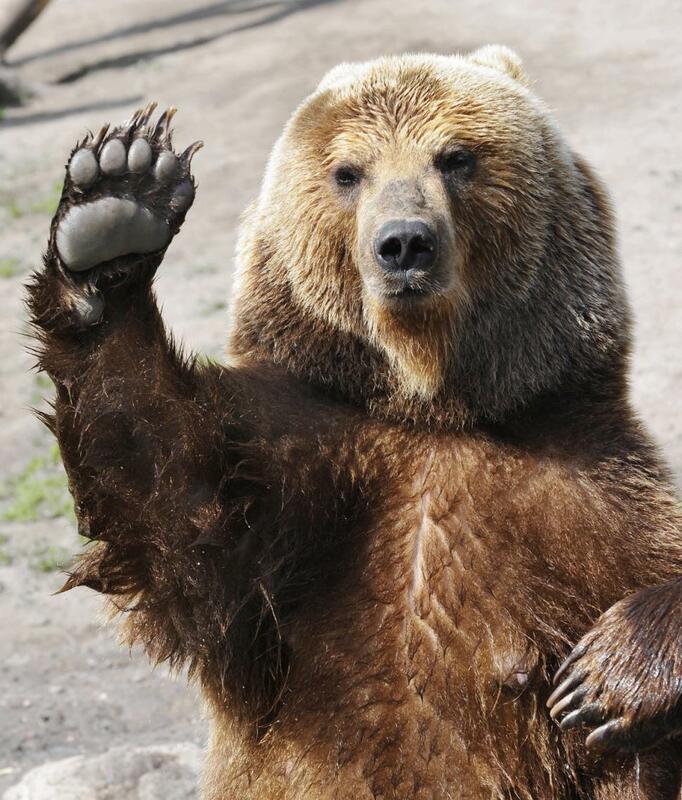 Your weekend Public Service Announcement: Colorado has snow, bears. Y’all come back now when the airport reopens! Why, Denver Post, why do you bother with these “news” stories? Hungry bears emerging from hibernation. It is snowing in Colorado. More later today, because apparently drizzle and snow have shut down Denver International Airport and much of this entire state, so what else can I do but stay at home, put a pot of soup on, and get my blog on? There’s a sexist and vulgar term for Californians who think 50 degrees Fahrenheit is cold–a “Southern California Weather P*ssy.” (I heard that a few times last year–because I had become one!) I’m afraid that many in Colorado have become “Northern Colorado Weather P*ssies.” Soccer practices and games are cancelled because of drizzle or even the possibility of rain! They shut the airport down because it might snow later! Whatever, dudes. The first time I visited this state as an adult–for my job interview 15 years ago–I landed in a snow and ice storm in February; when I came back with my husband in mid-May so that he could look for a job, we also landed in a snow and ice storm. Although I drive small, front-wheel drive only cars like Saturns, Subarus, and Priuses, I’ve never missed a single class because I couldn’t drive through whatever falls onto the roads. In case you’re wondering, I’m not going to wear an avalanche beacon when I leave for my yoga class this morning, nor will I carry a bear bell. Jeez. Some people don’t know how to enjoy our thoroughly urbanized Front Range megalopolis. Thanks! The sprinkles have turned to snow, but it’s barely sticking to the grass, let alone the streets. I may have to go for a run this afternoon, just to prove a point! This snow was way over-sold – but I assume its because the one last month was such a doozy. Love how beautiful the trees look with all the snow on them, and love that it will be warm again by mid week! 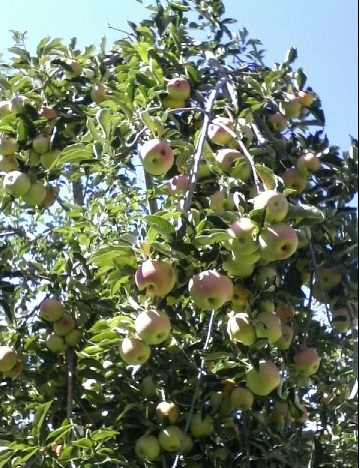 Yeah–I’m still a little worried that I won’t get apples from my apple tree, but #firstworldproblems.